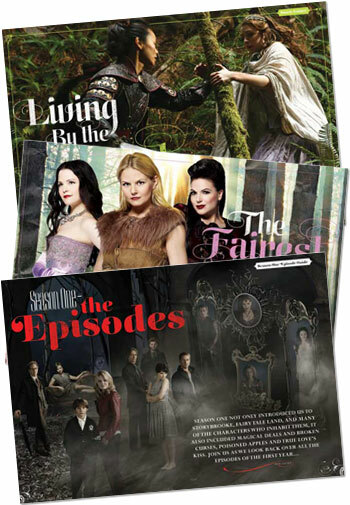 Following the success of ABC’s hit TV-show Once Upon a Time, Titan Magazines is publishing two collector’s edition special magazines. Go beyond the fairy tales and open up the book to discover the truth about Storybrooke for yourself in the official Once Upon a Time collector’s edition magazine. 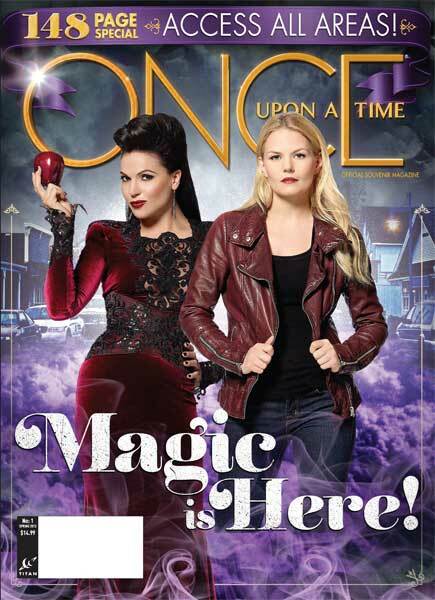 Once Upon a Time issue #1 CoverIssue #1 hits newsstands today and is the ultimate companion to the show. The TV Guide Fan Favorite Award-winning Once Upon a Time from master storytellers Edward Kitsis and Adam Horowitz (Lost, Tron: Legacy) features a world where fairytales and the modern day collide. Once Upon a Time stars Ginnifer Goodwin as Snow White/Mary Margaret, Jennifer Morrison as Emma Swan, Lana Parrilla as the Evil Queen/Regina, Josh Dallas as Prince Charming/David, Emilie de Ravin as Belle, Colin O’Donoghue as Hook, Jared S. Gilmore as Henry Mills, Meghan Ory as Red Riding Hood/Ruby, and Robert Carlyle as Rumplestiltskin/Mr. Gold. 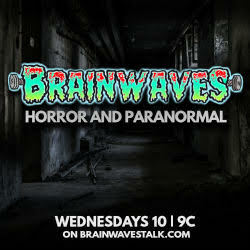 Issue #2 will be available in summer 2013 with more exclusive interviews with the cast including Ginnifer Goodwin, behind-the-scenes secrets, and lots more! Once Upon a Time Magazine issue #1 is available on newsstands and in specialty comic book stores in the U.S. today, in the U.K. on March 7, and in Australia and New Zealand on April 13. For more information on Once Upon a Time Magazine click here. 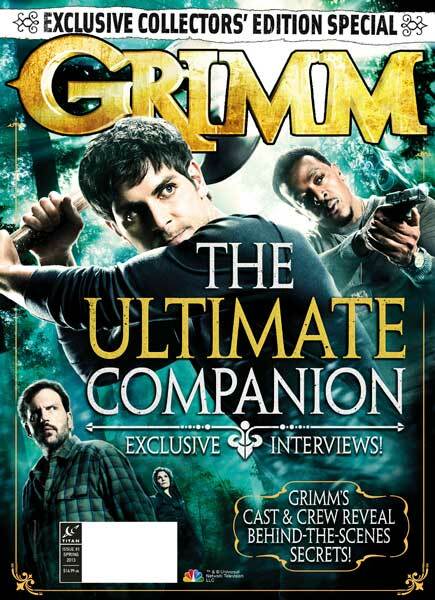 Also coming soon...Grimm Magazine #1 - Don't miss the brand-new ultimate guide to the hit show Grimm. It's got 148 pages jam packed with exclusive content including: interviews, behind-the-scenes secrets, and revelations from the cast and crew. On sale March 5 in the U.S. and March 21 in the U.K.!